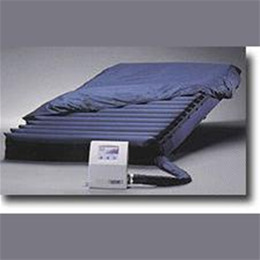 Provides the ideal environment for maintaining skin integrity for patients weighing up to 1000 lbs. Reduces the risks and costs of caring for obese patients. 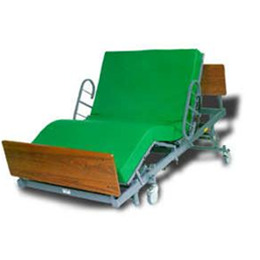 Can be used with a standard hospital mattress or low air loss mattress designed exclusively for our bariatric frame. User-friendly electronics allow the caregiver to adjust for individual patient comfort. Air cushions are constructed of the most pliable and highest quality coated nylon for low shear and even lower interface pressures.